Ranked by automotive experts in the top tier of the best full-size trucks in the country, the 2017 Ram 1500 Truck Crew Cab is one versatile ride. Engineered to be strong, robust, and a true hard worker, the 1500 has got your back, on and off the worksite. The 2017 Ram 1500 Truck Crew Cab comes in three engine choices, the first one being the 3.6L V6, offering 269 lb-ft of torque and 305 horsepower, on 2WD or 4WD. Average fuel economy can be expected at 17 mpg in the city and 25 mpg on the highway. 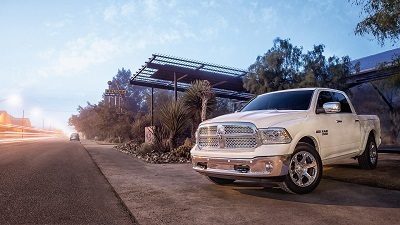 If you’re after a little more extra power for the most demanding workloads, you can go for the 5.7L Hemi V8 engine, producing up to 395 horsepower and 410 lb-ft of torque, also on either 2WD or 4WD. EPA-rated fuel economy estimates are at 15 mpg in the city and 22 mpg highway. Post originally appeared on VivaChryslerDodgeJeep.com blog page. Posted on December 20, 2016 by CedrickPosted in BusinessTagged dealers, paso, proudly, ram, showcase.